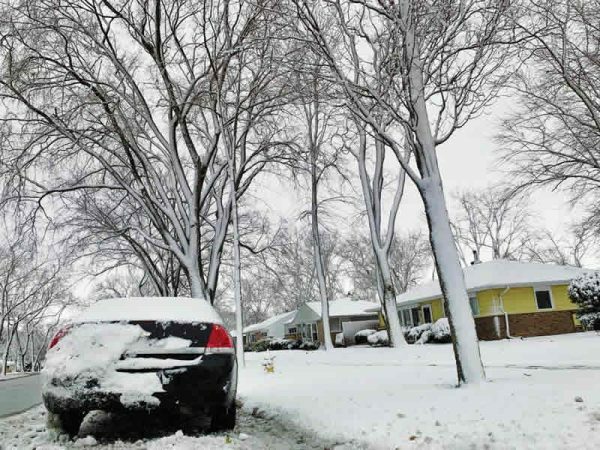 Park Forest, IL-(ENEWSPF)- Editor’s Note: These police reports bring us through January 14, 2019. Charges for those cited during this period include driving while license was suspended, battery, domestic battery, and felony driving while license was revoked. These reports also include a man who pulled himself over because an officer was behind his car. The man ended up parking in front of a fire hydrant and was driving with a suspended driver’s license, according to police. An officer on patrol in the area of Allegheny Street and Antioch Street saw a green 2003 Ford F-150 pickup with a temporary Indiana registration plate. The officer recognized the vehicle and knew that the registered owner of the vehicle was Tommie L. Wells, according to police. The officer also knew that Mr. Wells was wanted by the Park Forest Police Department and had an active arrest warrant, according to police. The officer following Mr. Wells activated his emergency lights and the vehicle pulled into a driveway in the 100 block of Algonquin Street. There was a passenger in the vehicle besides the driver, Mr. Wells. After making contact with Mr. Wells, Mr. Wells started to make “furtive movements in the vehicle, such as moving his hands out of sight, and he appeared to be trying to grab or conceal an unknown item,” according to the report. he officer grabbed Mr. Wells’ wrists through the open window of the vehicle to ensure that he did not reach for any contraband or weapons while the officers took him out of the vehicle, according to police. Mr. Wells allegedly pulled his hands aggressively back into the vehicle and allegedly reach toward the center console, according to police. Due to Mr. Wells being wanted; considered armed and dangerous, according to police; and “having a known history with firearms,” according to the report; the officer took a step back and drew his service weapon. Officers on the scene continued to give Mr. Wells commands to keep his hands visible and to exit the vehicle. According to police, Mr. Wells continued to drop his hands out of sight and make “furtive movements near the center console.” The passenger in the vehicle complied and stuck his hands out the window. Nine other officers arrived on the scene. Mr. Wells then unlocked his door and exited the vehicle. Mr. Wells complied with instructions and was taken into custody. The passenger was detained but later released without charges. Kyland A. Johnson, 24, 18022 Los Angeles Ave., Homewood, was arrested on January 11 and charged with one count of domestic battery and one count of resisting a peace officer after police were dispatched to the 300 block of Sauk Trail to investigate a report of domestic battery. When police arrived they found a man fitting the description of the subject behind a business in the 400 block of Sauk Trail. The man, later identified as Kyland Johnson, had a neon green book bag which the complainant confirmed Mr. Johnson had been carrying. An officer yelled at Mr. Johnson to stop. Mr. Johnson allegedly disregarded police and ran while officers pursued, according to police. Mr. Johnson tripped and fell down onto his face and was quickly placed into custody by officers, according to police. Police spoke with the complainant who said that Mr. Johnson, her ex-boyfriend, became upset and allegedly took her vehicle’s keys at which time she called 911. She stated that she confronted Mr. Johnson who she said became angry and allegedly grabbed her by the neck and chest area and through her to the ground, according to police. Mario L. Oden, 34, 251 E. Rose St., Glenwood, was arrested on January 11 and charged with aggravated felony driving while license was revoked, speeding, and operating a vehicle without insurance. 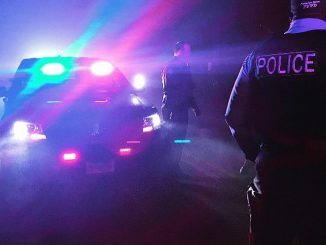 n officer observed a blue Ford Mustang traveling southbound on Western Avenue at 11:04 PM near Indianwood Boulevard at a high rate of speed, according to police. The in-car radar indicated that the vehicle was traveling 54 miles per hour in the posted 35 miles per hour zone, according to police. The officer performed a U-turn and positioned his vehicle behind the Ford Mustang and curbed the vehicle on Sauk Trail just east of Western Avenue. The officer asked the driver and lone occupant, Mario Oden, for his license and insurance. Mr. Oden told the officer that he did not have a license, that his license was revoked, according to police. SouthCom Dispatch confirmed that Mr. Oden’s license was revoked. 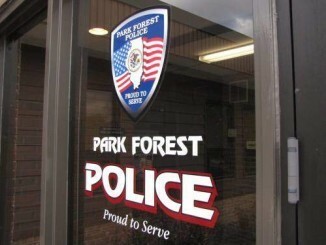 Mr. Oden was placed into custody and transported to the Park Forest Police Department. His vehicle was and towed and seized under local ordinance. The arresting officer reviewed Mr. Oden’s driver’s license status and discovered two revocations: January 6, 2017, on a DUI related offense and July 1, 2016, in connection with repeated collisions or moving violations, according to police. Mr. Oden’s driver’s license also showed three convictions in 2018 for driving while license was suspended/revoked, according to police. The officer contacted the Cook County Felony Review unit which approved one count of aggravated felony driving while license was revoked. Craig O. Keyes, 50, 377 Wilshire St., Park Forest, was arrested on January 12 and charged with driving while license was suspended, resisting a peace officer, expired registration, and disobeying a traffic control signal. An officer was stopped at a red light facing north on Blackhawk Drive at Sauk Trail with a vehicle in front of him. The traffic signal turned green and the vehicle in front of the officer proceeded north into the intersection. The officer then observed a silver 2004 Chevrolet Tahoe traveling west on Sauk Trail allegedly disregard the red light and turn north on Lakewood Boulevard, causing the vehicle in front of the officer and the officer himself to brake suddenly, according to police. The officer activated his emergency lights and the Chevy Tahoe continued from Lakewood Boulevard to northbound Wildwood Drive. The officer activated his emergency siren and the vehicle turned east onto Wilshire Street into the driveway of 377 Wilshire Street. The officer saw the driver’s side door open and ordered the driver to stay in the vehicle. The driver, later identified as Craig Keyes, exited the vehicle, lifted his hands, shook his head from side to side, allegedly indicating that he was not going to comply, according to police. Mr. Keyes then walked to the west side of 377 Wilshire Street and allegedly began running to the south side of the residence, according to police. The officer caught up with Mr. Keyes, took him to the ground, and handcuffed him. The officer escorted Mr. Keyes to his squad car where he was transported to the Park Forest Police Department. The officer ran Mr. Keyes information through LEADS and discovered that his driver’s license was suspended. Mr. Keyes’ vehicle was towed and seized under local ordinance. Pedro E. Mendoza Jr., 34, 415 Rutledge St., Park Forest, was arrested on January 12 and charged with driving with no headlights when required, driving with no proof of insurance, driving while license was suspended, possession of cannabis, and possession of drug paraphernalia. Mr. Mendoza was assigned a mandatory court date of February 6, 2019, at the Markham Courthouse. An officer on patrol observed a black 2010 Lincoln MKZ traveling west on Illinois Street from Todd Street without its headlights on. It was 9:51 PM. The officer followed the Lincoln and curbed the vehicle in the 400 block of Rutledge Street. The officer asked the driver and sole occupant of the vehicle, Pedro Mendoza, for his driver’s license and proof of insurance. Mr. Mendoza was only able to provide his state ID card and no proof of insurance, according to police. When the officer checked Mr. Mendoza’s name through LEADS, he learned that Mr. Mendoza’s driver’s license was suspended because of “no mandatory vehicle insurance,” according to the report. Another officer arrived on the scene to assist. The second officer immediately smelled and odor of cannabis emanating from the interior of the vehicle. Officers searched the vehicle and located a glass jar and a plastic wrapper containing a green plant-like material, suspect cannabis. Mr. Mendoza did not have a valid medical cannabis license, according to police. Mr. Mendoza’s vehicle was towed per local ordinance. Chadrick M. White, 22, 2872 Western Ave., Park Forest, was arrested on January 14 and charged with improper parking on a roadway and driving while license was suspended. Mr. White was additionally charged with one count of obstructing identification with a mandatory court appearance of February 22, 2019, at the Markham Courthouse. An officer was following a vehicle that was traveling westbound on Hickory Street when the vehicle abruptly began to brake and subsequently parked in front of a fire hydrant near the intersection of Hickory Street and Jackson Street, according to police. The officer had not activated any emergency lighting on his patrol vehicle or otherwise signaled the driver to pull over prior to the vehicle parking, according to police. The officer approached the vehicle and spoke with the driver, later identified as Chadrick White, and told Mr. White that he was parked in front of a fire hydrant. Mr. White responded that his vehicle was not in park but he curbed the vehicle because he thought he was being pulled over. While speaking with Mr. White, the officer detected an odor of cannabis emanating from inside the vehicle. he officer asked to see Mr. White’s driver’s license and insurance. Mr. White provided the officer with insurance but did not have any form of identification on his person, according to police. The officer asked Mr. White’s name and date of birth. Mr. White allegedly provided the name of “Christopher D. White,” according to police. The officer gave Mr. White a pad of paper and a pen and asked him to confirm the spelling of his name on his driver’s license. Mr. White spelled “Christopher” then allegedly scratched out the “op” in the name, according to police. Another officer arrived on the scene to assist. Due to the odor of cannabis emanating from the vehicle and the officers suspicion that Mr. White was providing a false name, the officer instructed Mr. White to exit the vehicle and he complied. The officer again asked Mr. White for his name after placing him in handcuffs. Mr. White provided the name “Chadrick M. White” and allegedly told the officer that he at first provided his brother’s name because he knew that his license was suspended, according to police.